The HR department of an organization plays a very important role in recruiting new people to the firm and to gauge the performance of the existing employees. It uses an HR feedback form while gauging the applicants and employees and then sends these forms as reports to the higher officials in the organization. An HR Form comprises of important parameters against which an applicant/employee has to be tested, in order to make a wise and informed decision. While conducting an induction program for the new employees of an organization, the HR department makes use of this form to ensure that the new recruits are well aware of their responsibilities and the regulations of the firm. While conducting an interview, this HR interview form is used to gauge the candidate against various parameters and record the results. The interviewer then forwards this form to the HR department to help them take the final call. 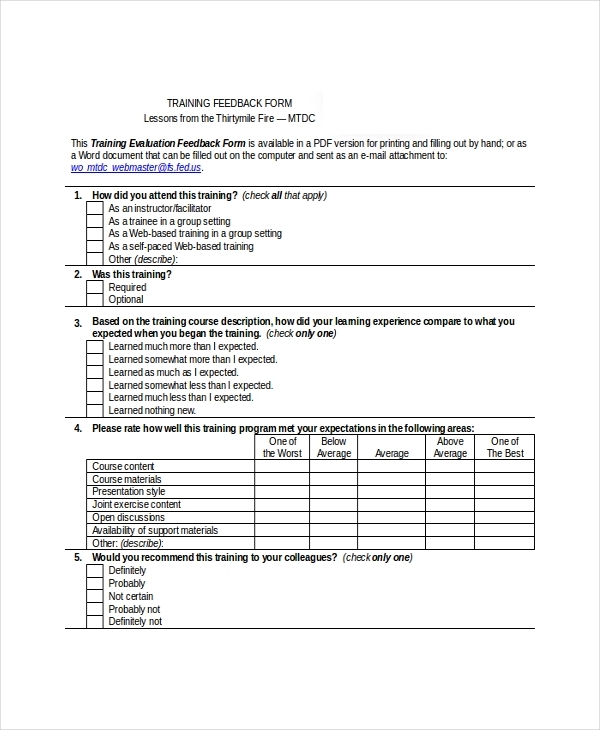 After a training program the HR department may have conducted for the employees, they uses this form to understand what the participants thought of the program. 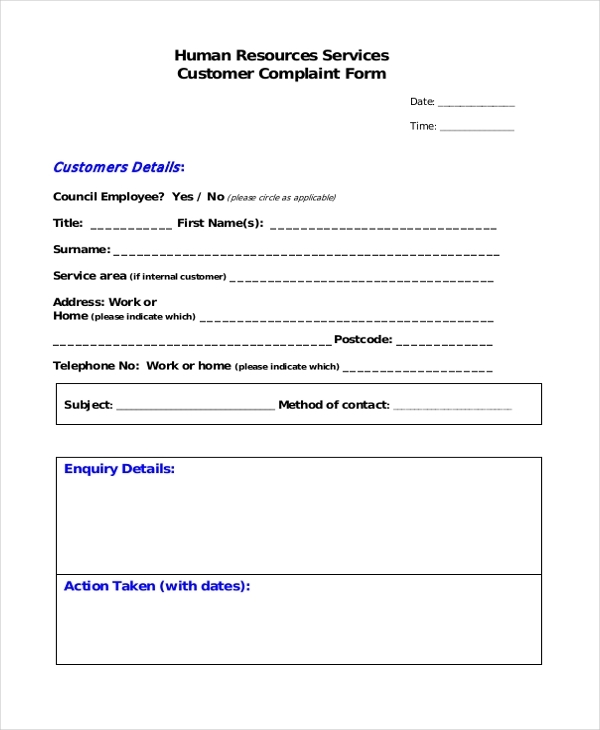 This form is used by a recruiting firm to gain a feedback from its customers whom it may have helped to hire employees and to perform other HR related jobs. The form helps them to gauge their services and improve them. 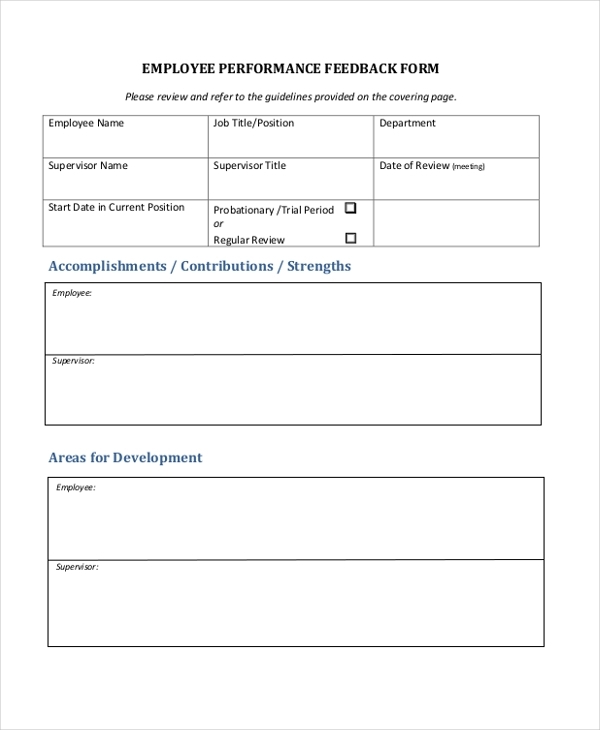 When the higher officials of an organization request the HR department to report the performance of various employees, the department uses this form to record their observations. As the name indicates, this form is used by the HR department of a company or an HR agency to offer its feedback on various things like employee performance, interview reports etc. Usually, when an employee in an organization is not happy with a certain HR policy, he can use this form to complain about this and make his displeasure felt to the HR department. 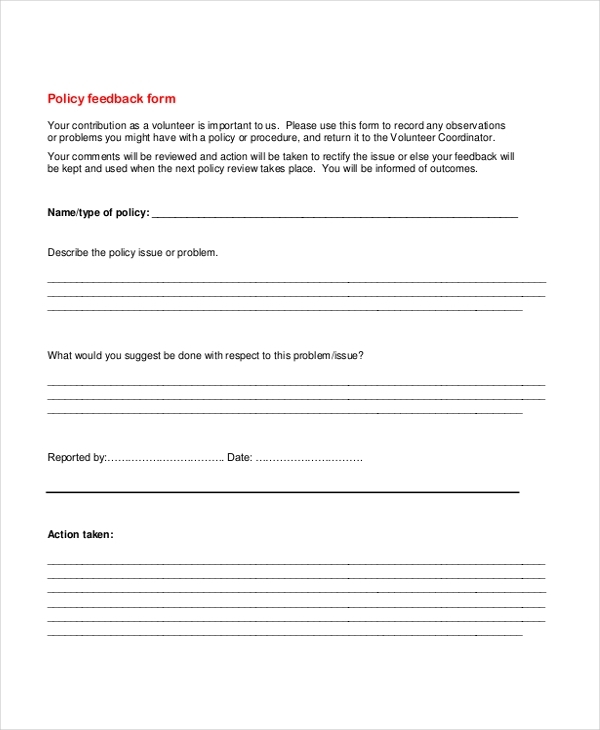 Why should one use HR Feedback Forms? While interviewing a candidate for a job or gauging the performance of an employee, there are a lot of parameters against which the person has to be checked. This can sometimes be overwhelming for the person responsible for the task. However, using an HR feedback form simplifies this process as the form lists down all the important parameters that should be checked. The form also comes in handy when recording the feedback which is definitely better than designing a full-fledged report later. You may also see HR Letter Forms. 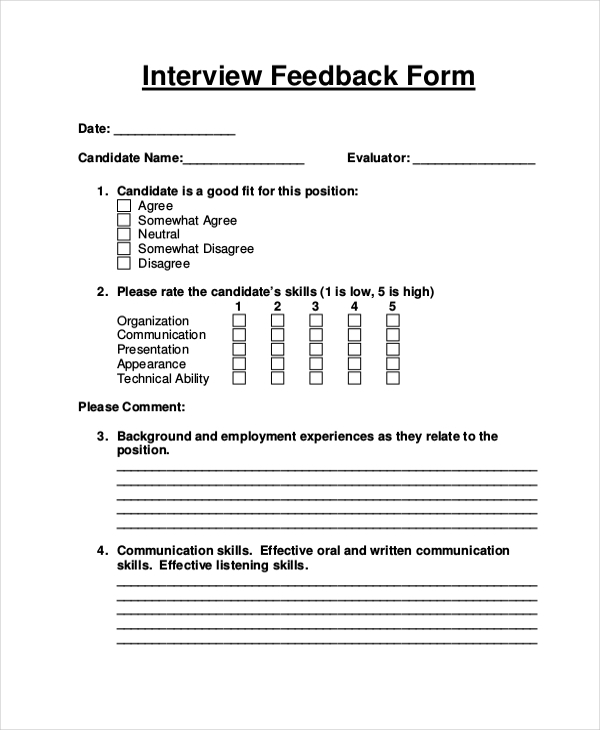 What are the Benefits of Using HR Feedback Forms? An efficient HR feedback form can work wonders for your firm. In case you are not sure how to design such a form, go ahead and check out our vast collection of these forms. You are sure to find the one that meets your requirements. Download it and then quickly customize it. You can also see Employee Clearance Forms.